MARVELus: All the Marvel Movies. Kind of. All the Marvel Movies. Kind of. 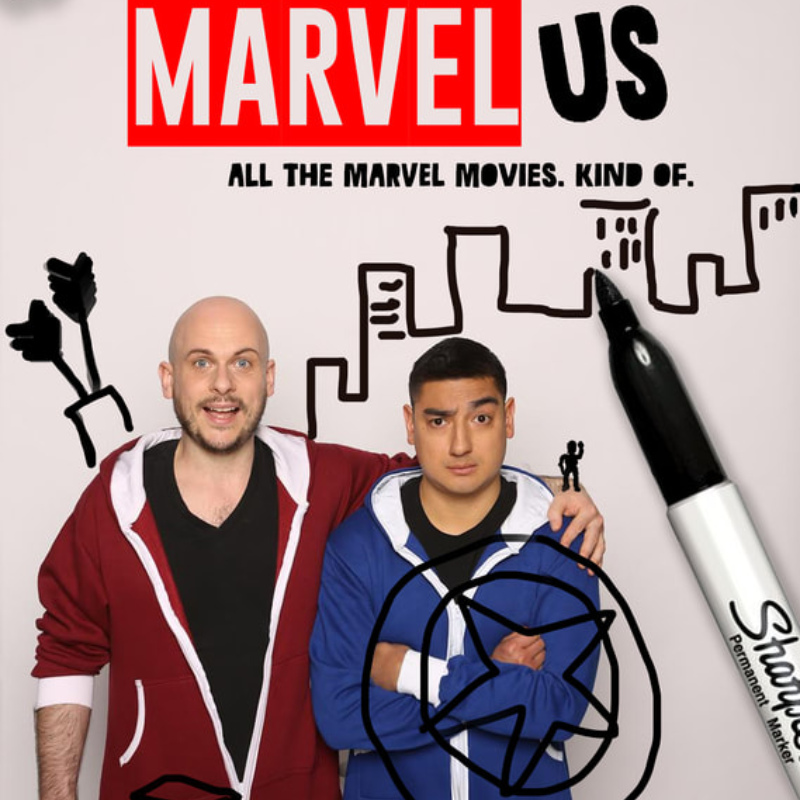 MARVELus is the sketch show that squeezes almost a decade of the Marvel movies into one action packed hour of comedy. Gary and Javier join to create the double act The Just Us League; using their signature high-energy style to create short, punchy scenes, it's weapons free comedy that takes no prisoners - High octane, channel surfing hilarity for your inner nerd. Gary and Javier join to create the double act The Just Us League. Throwing the rule book out the window, the pair focus on their own fluid style that defies convention and made them one of the breakthrough comedy acts of the last year.